PaceWildensteinMacGill, New York, NY; purchased with donated funds from the Evelyn and Walter Haas, Jr. Fund by NGA, 1993. 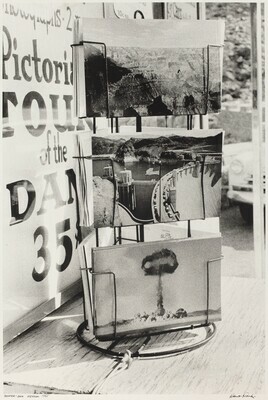 Robert Frank: Moving Out, National Gallery of Art, Washington; Yokohama Museum of Art; Kunsthaus Zürich, Zurich; Stedelijk Museum, Amsterdam; Whitney Museum of American Art, New York; Lannan Foundation, Los Angeles, 1994-1996, no. 72. Frank, Robert. The Lines of My Hand. New York, 1989: pl. 69.